Is there an interaction here? 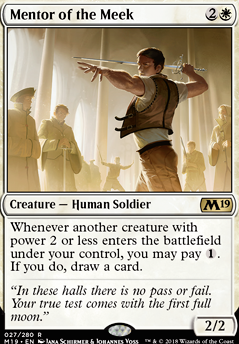 Does mentor of the meek trigger if a 1/1 enters and there is an anthem on the field? 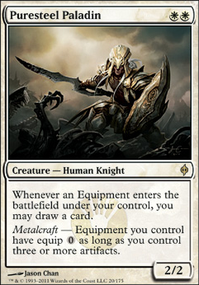 Whenever another creature with a power of 2 or less enters the battlefield under your control, you may pay . If you do, draw a card. I see it as a very good tutor in this deck. Since you cast the spell with Sunforger , you'll get it back to your hand with Feather out. 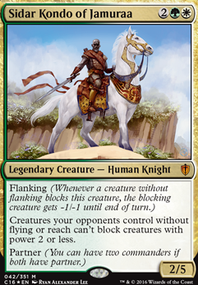 I don't think I'd necessarily feel the need to throw in a bunch of tutors to go fetching the Sunforger in every game, but having it in there for the fun times you'll have when it does pop up can't be a bad thing. 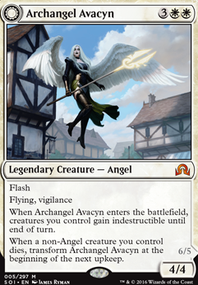 And let's face it, Boros needs every advantage it can conjure up. Feather and Zada, Hedron Grinder on the field at the same time is pretty sweet. I also wanted to say I wasn't really aware of the card Goblinslide , but I love the synergy it has in here. 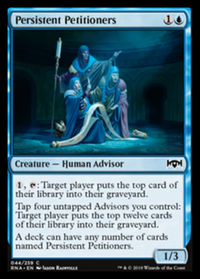 I also like its synergy with Mentor of the Meek , with enough mana available, of course. 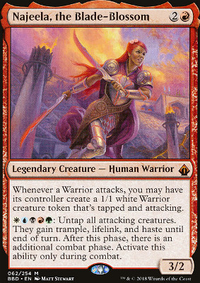 I saw this spoiled by The Command Zone, and I agree that it looks like fun to build around, and is definitely a great Commander for the guild that needed some card advantage. Nice work here!